I also love them for how versatile they are. You can use them on their own as a side dish or include them in a huge variety of dishes including omelets, pastas, grain salads, pizzas, quesadillas, wraps, grilled cheese/paninis, stir fries. And you can flavor them in various ways–salt and pepper, indian spices, chili powder, parmesan, nutritional yeast, soy sauce, and bread crumbs are just a few of our favorite ways to have them. Roasted vegetables are also often a great entry point for picky eaters. The reason for this is that roasting brings out the natural sugars in the vegetables, which makes them sweeter and, therefore, more appealing to those who are more resistant. 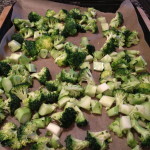 If I am working with a client who is trying to feed a very resistant eater, the vegetables that I most often recommend starting with are potatoes, sweet potatoes, cauliflower, and broccoli because they seem to be the most accessible for tentative tasters. Potatoes and sweet potatoes can be sold as “like french fries” and dipped in ketchup and cauliflower and broccoli can be “trees” that a giant is eating or can be loaded with parmesan. If you’ve never roasted vegetables, give it a try! And if you have, see if there is a way you can change it up to make it more exciting. I think you will be very pleasantly surprised! 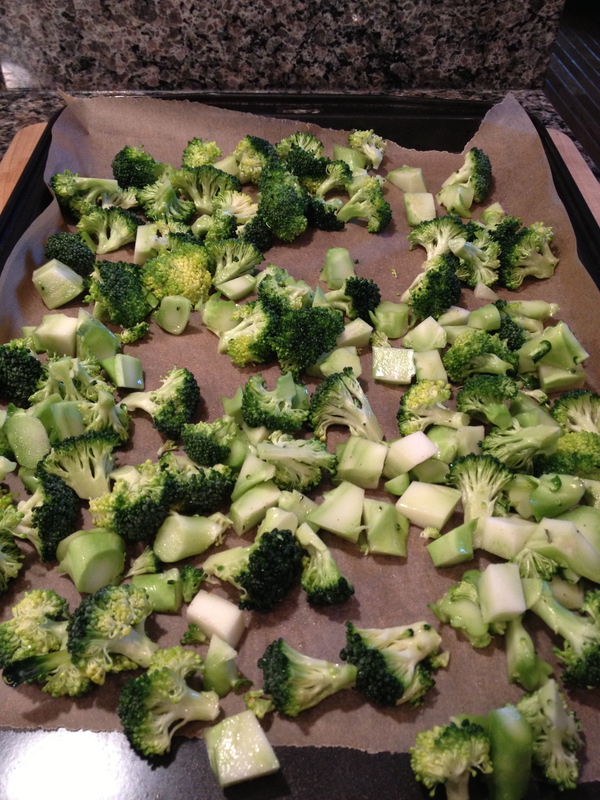 Toss broccoli with 1 tbl olive oil and sprinkle with salt and pepper. Spread evenly on the baking sheet, trying to have a single layer. Roast until just tender, about 10-15 minutes.